I have had the Maxima for nearly 10 years now. 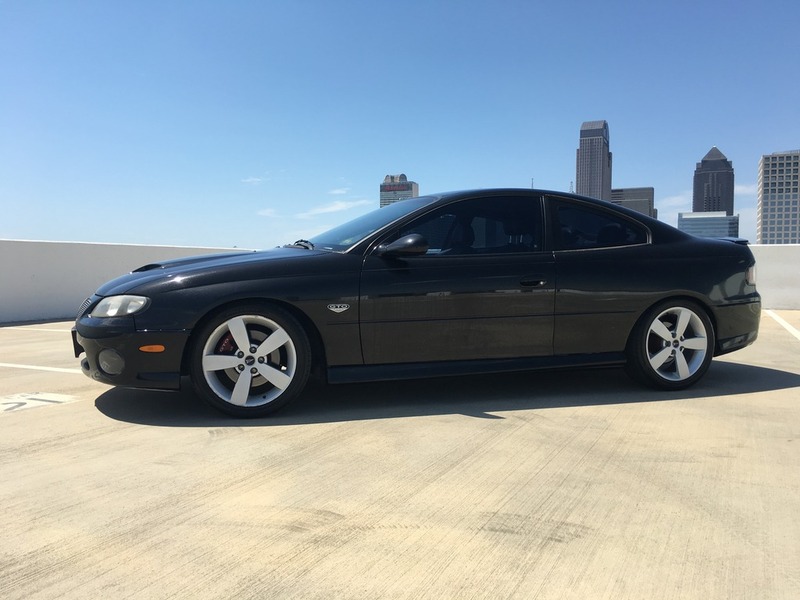 In that time it has seen many other cars come and go along side it. 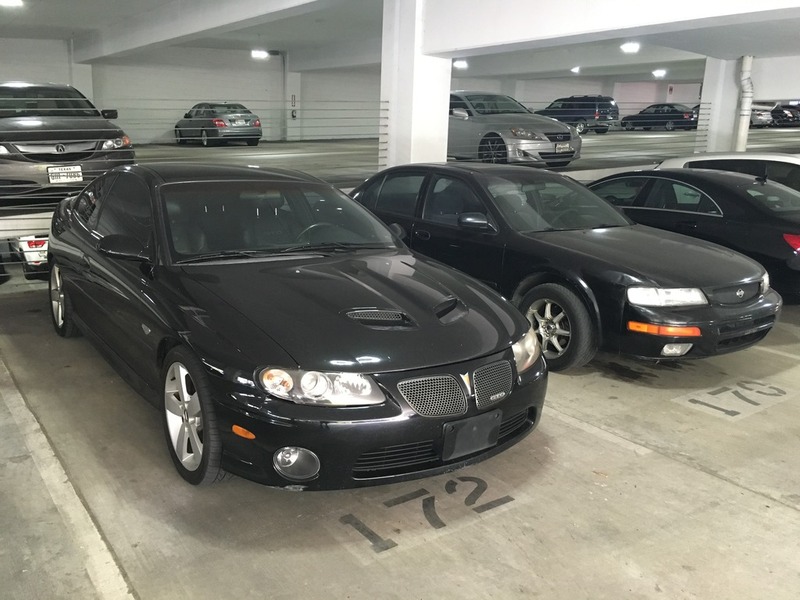 Last August I bought a 2006 Pontiac GTO because I missed having a loud, fast muscle car. 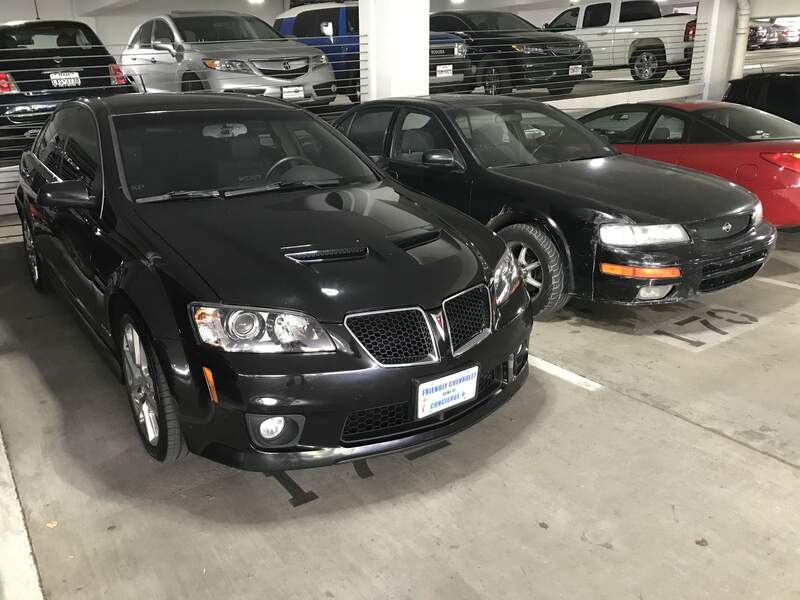 Yesterday I decided I needed something that combines the functionality of the Maxima's four doors and the power of the GTO's V8. 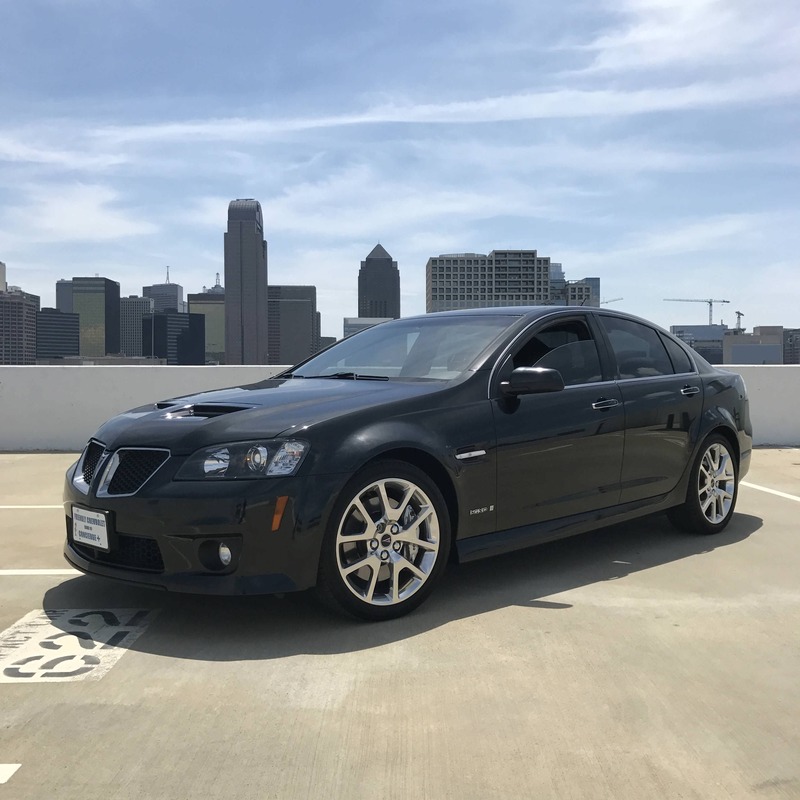 Enter the 2009 Pontiac G8 GXP. 6.2 liter engine paired with a 6 speed manual and 3.70 rear end. It moves. Now I have three black stick shifts. The Maxima and the GTO both consistently get 23 mpg. It's a little amusing that I spend the same amount for gas in both cars despite the huge power difference. 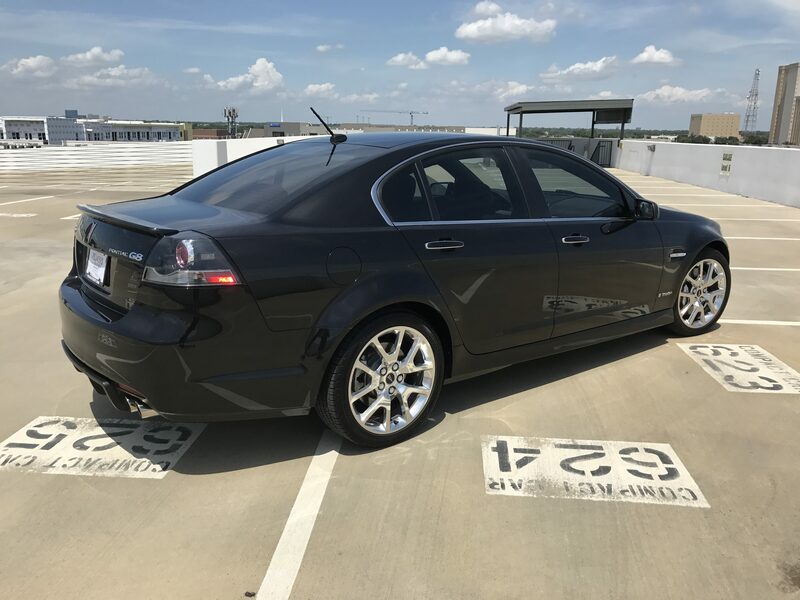 The G8 GXP is rated at 20 mpg highway, so I suppose I'm realistically looking somewhere in the teens. 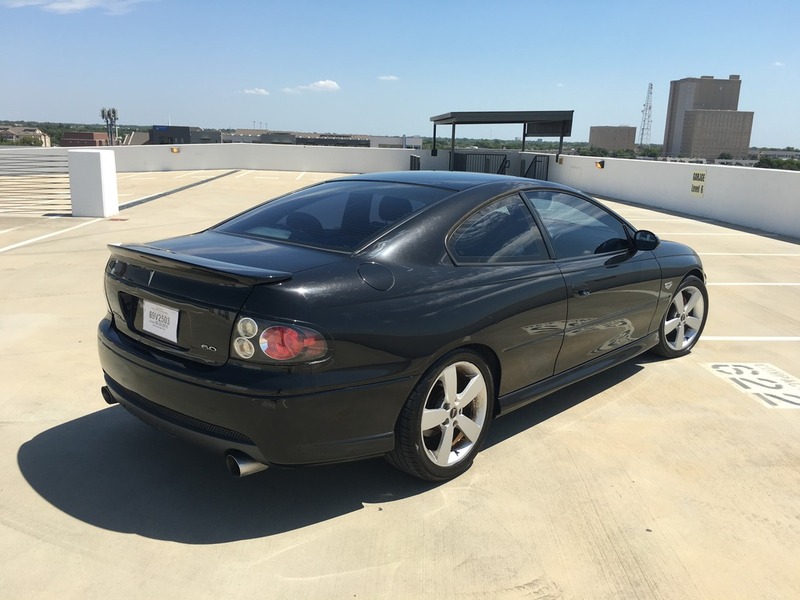 I still want to get an '02.5 - 03 Maxima with the 3.5 and a six speed. That would actually be a reasonable commuter car.